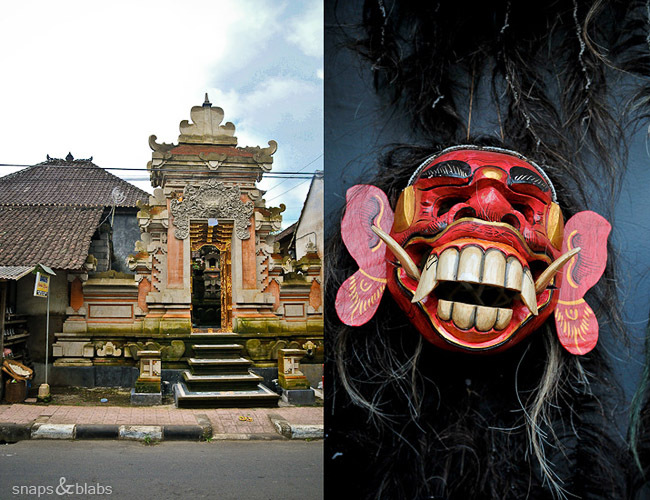 After Lovina and a 3 hour car trip, we found ourselves in Ubud. Reading the descriptions of the place, I was left with the impressions of a bustling creative town, full of original crafts and free spirited, if not fully hippy, populous and visitors. 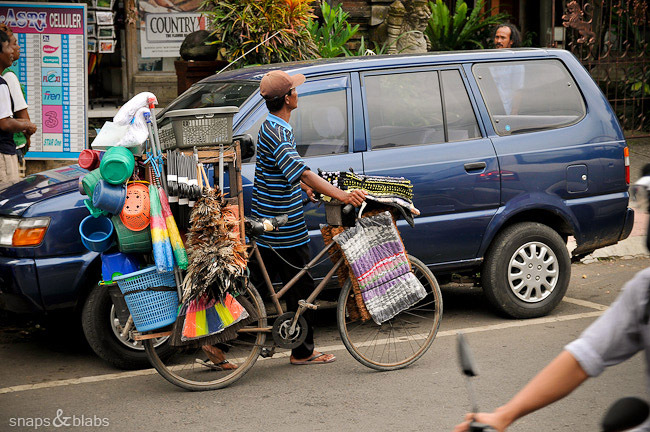 Compared to the majority of Bali, Ubud is a busy, sanitized, full of bars and restaurants, trinket-happy tourist trap. Needless to say, we were a bit disappointed. Coming from the mountains and Lovina, we were literally hit with the commercialism of the place. 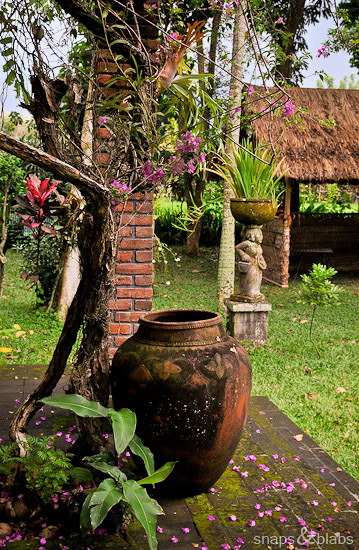 This is not to say that there is nothing to enjoy in Ubud, rather that it is nothing like what we expected or hoped it was. I have been so unsure of my feelings about the place, that writing about it has been impossible and I have been stuck on this part of the trip for weeks. And now I am so behind. 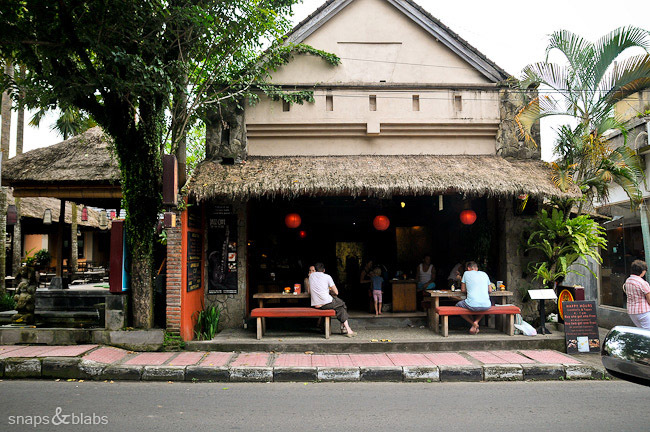 Even though we didn’t go to Sanur or Semanyak, I am sure Ubud is a secluded cozy town in comparison, and maybe that is what travel writers consider when they weave those descriptions. 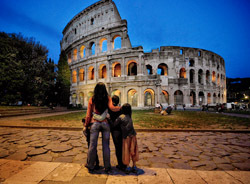 Or maybe they speak from the point of view of an insider, a person that knows all the nooks and alleys that snake away from the busy streets and where I saw some of what the guidebooks promised. There are bars and restaurants. There are. 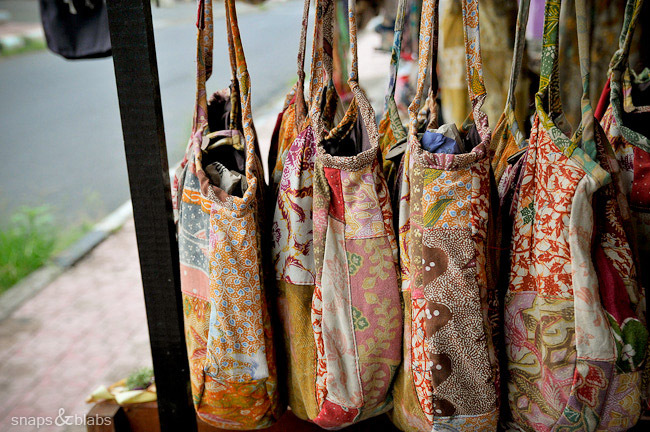 And they all wear comfortably the Balinese laid back look, so clumsily replicated in many parts of the world by wanna be funky bar owners. 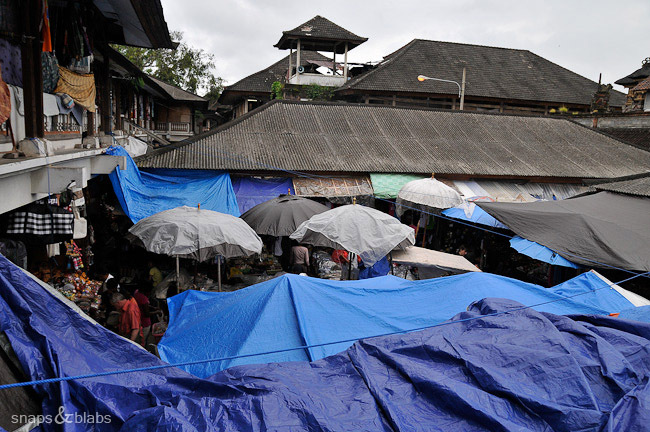 The hatched roofs are everywhere, the numerous pillows, wooden tables and lanterns providing warm spill over them. Restaurants galore with pushy welcomers that “invite” you in, or more likely grab you by the hair and send you in (ok, I am exaggerating here, but it does get old after the 231-st time). And the rest of the space on the streets is filled with shops, mostly aimed at tourists and full of trinkets. Still the variety is big enough, so you dont get fully sick of it. The merchandise is so different from what we are used to, that it captures our attention and we spend some time flipping through, even though we didnt buy anything. Imagine a whole line of Oxfam outlets, or another one of those alternative and expensive shops that adorn a prized place in the western world. The prices are never shown, but after you find them out, they are negligible in comparison. And if you bargain, which is the expected thing to do, then you can more than certainly grab a bargain. Now you have a bit of an idea of what you can find here. 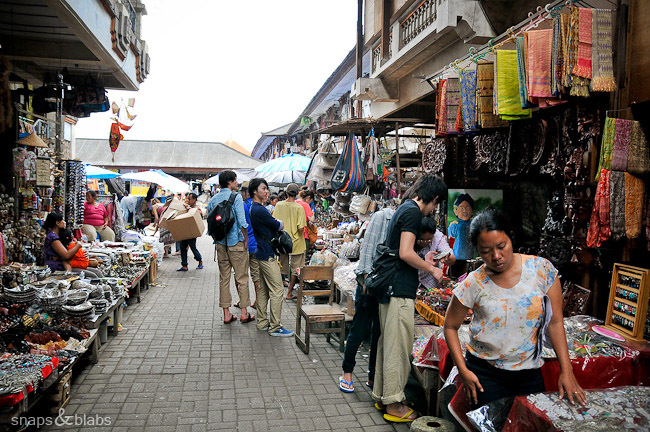 If that is not enough and you want to immerse yourself in a sea of souvenirs, coming at you from every angle, then the place to be is the central market. 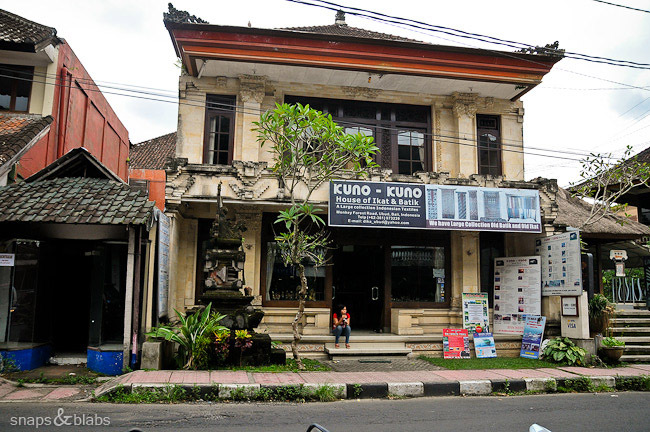 Located conveniently at a prime spot in the middle of Ubud, right on the corner of the main street and Monkey Rd, this is one big, never ending and bursting at the seams place. Every possible spot is taken by a person and his or hers merchandise. There are stairs leading to more and more, there are tight places that seem to not go anywhere only to find out that there is more on the other end. One can spend a whole day here, just trying to get out. 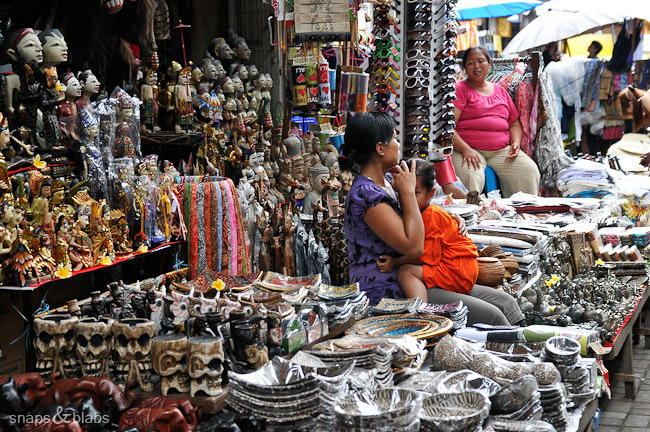 If you dont haggle, this is not the place for you unless you are happy to pay at lest double for what you are after. I find the best approach is to smile and not to be offensive about it. Make a pleasant experience out of it, not some labored hunt for the last cent, which you are entitled to save because you are oh, so knowing of the right price. Dont forget where you are and what these people live on – that dollar that you wont even pick up off the street back home, is probably better with one of them. Its not the shops or fancy bars that took my fancy though. 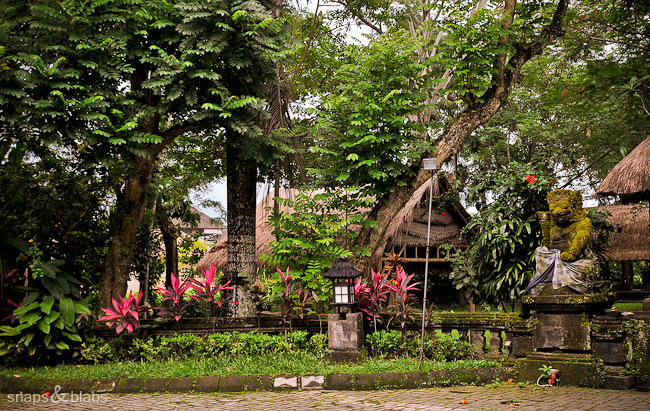 Its the all encompassing lush green nature, that is never far away, the mossy stones, the long back alleys that carry you away from the bustle and quiet streets, where the kids ride bikes and small setups are cooking for the locals. 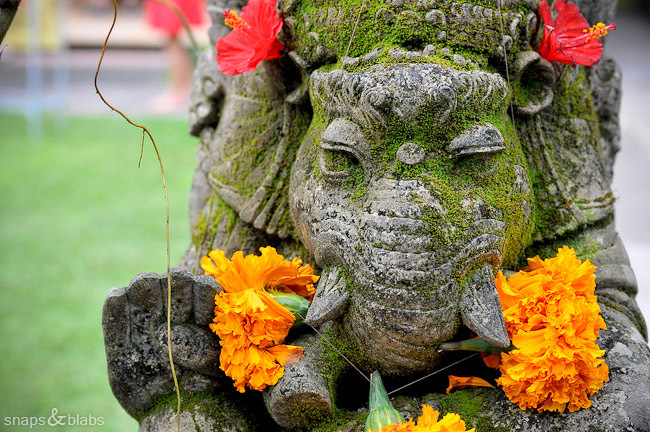 The scent of tradition is carried by burning incense twirling its smoke around carefully prepared offerings and grains of rice on leaves, invisibly eaten by resting spirits passing by. Once you live with this, you will miss it, you cant not. Women carry flat baskets with their offerings and they are the ones usually taking care of the shrines – two per house, one for the house spirit and another for the spirit of Evil – both supposed to act as guardians of the home and its inhabitants. 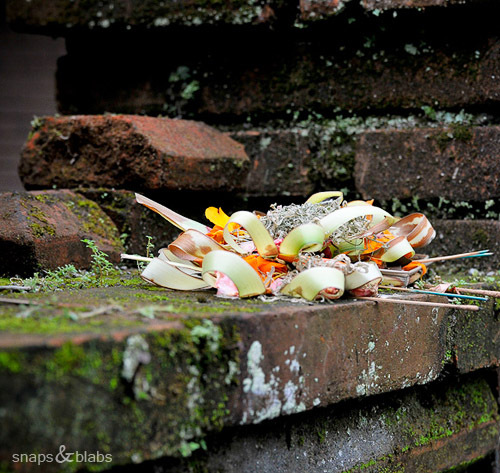 Offerings are made three times a day and each woman has a specific way of doing it. I have seen some women swoosh around the smoke from the incense over the shrine, others have the most graceful wave of the hand with which they seemingly bless what they have put for the spirits – slow, rhythmical and heart felt. And there are beautiful buildings around every corner of course. Temples, old temples, older temples, its all there. In summary, for a few days this place was a good break and a welcomed meeting with amenities and comfort. The stuck up, preachy yoga devotees that come to find Nirvana here can get a bit too much after awhile, but keeping in mind that they too are after something they are looking for, be it on a different road than us, helps. The commercial monster has probably eaten some of the initial charm of the place, a fact made even more obvious when you see the numerous wholesale shops that line up the streets that go out of the town with merchandise so familiar from back home. Still, for some good selection of food, lazy cafes on the street and close location to rice paddies and villages, this is not a bad place. We found nothing great though. And finally this post is done. Bye, bye Ubud. Nor I. “…trinket-happy tourist trap”, indeed. 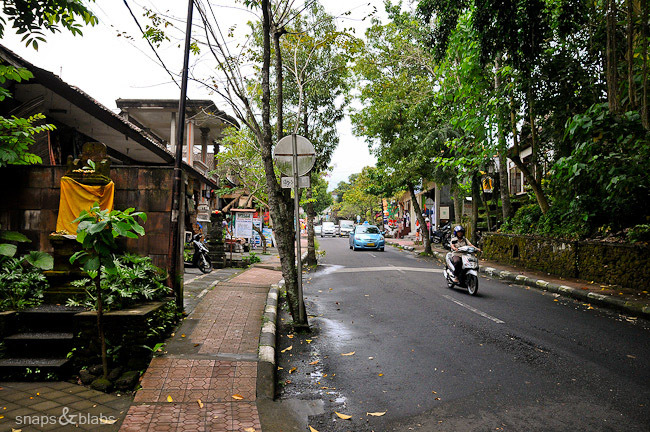 Given the preponderence of sweeping accolades for Ubud among guidebooks/travelers, I too expected at least a modicum of charm. But instead, I was met by tourist glitz at every turn. So I can well empathize with your disappointment and ambivalence. 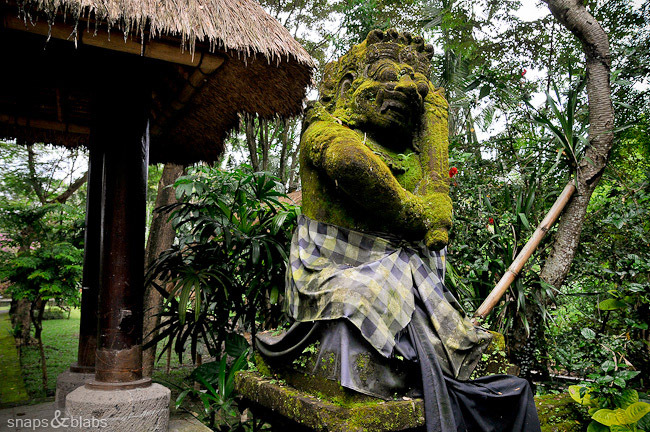 But I was lucky, I managed to get an invite from a local to a festival in a tiny village in the north of Bali, and there I found the enchanting Bali of yore. 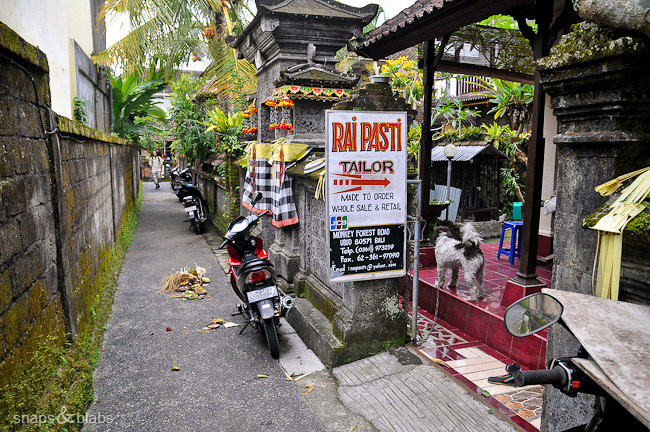 So the good news is: You too can find the “real” Bali by simply by wandering off the beaten (I dare say “EPL”) path. 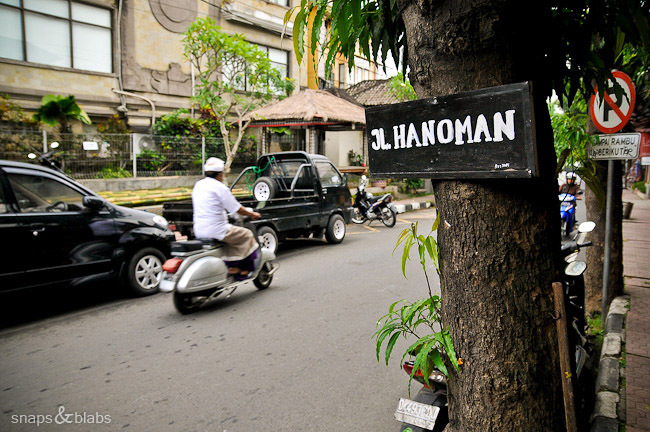 But trust that sadly, it surely ain’t in Ubud anymore. 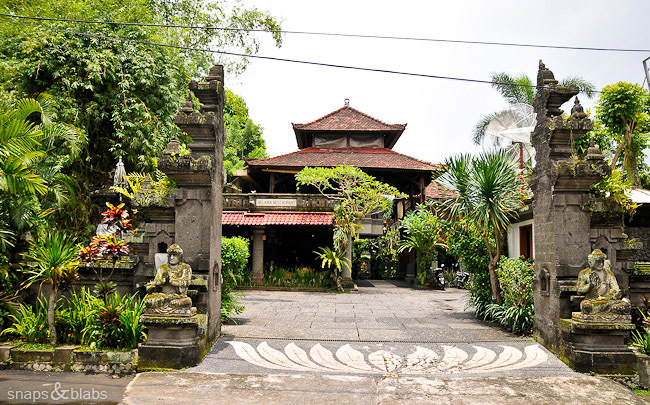 we too arrived in Ubud after spending beautiful time in Amed and Lovina, and arriving on a saturday afternoon was just NOT the right time at all. The traffic confronted us, and the confusion of Monkey Forest Road almost made us want to leave town altogether! It was NOT what we expected either, but like you said, after a while, if you are lucky, you can get a small taste for the quiet countryside that lay all around it and it can grow on you. i don’t think the movie did it any favours! 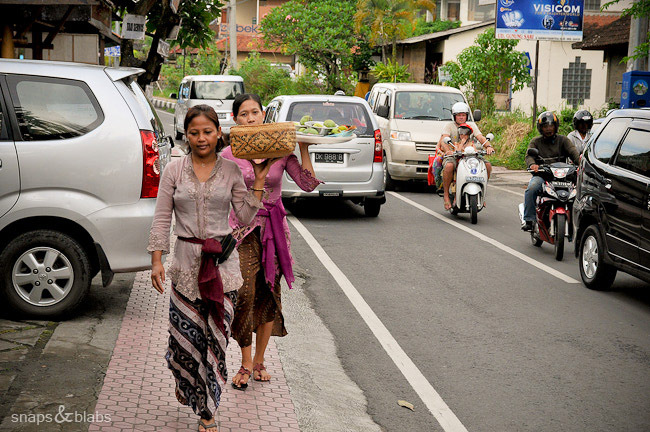 Dyanne, luckily we had enough low key experiences with locals to counteract the time spent in Ubud as well. Again, not that we hated it, it just was not at all what we expected. With2kids, I think after Amed, I wouldnt have been able to handle Ubud, so I can imagine what you all thought at the sight of Monkey Forest Rd. 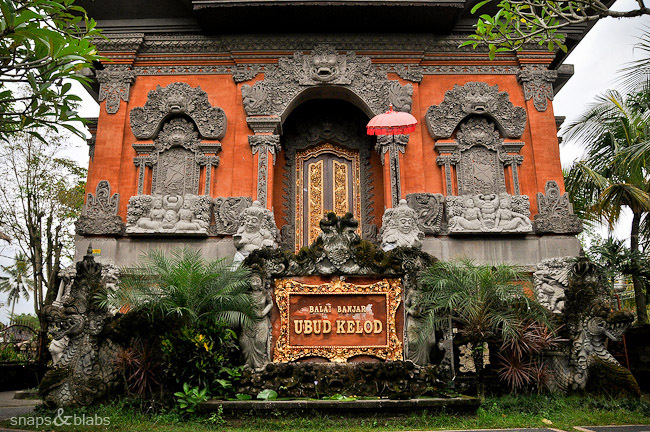 Did the movie revolve around Ubud? You are talking about Eat, Pray, Love right? It`s unfortunate that trade destroys so beautiful spots in our world! I understand why you didn`t write about it all this time. Glad to read this. 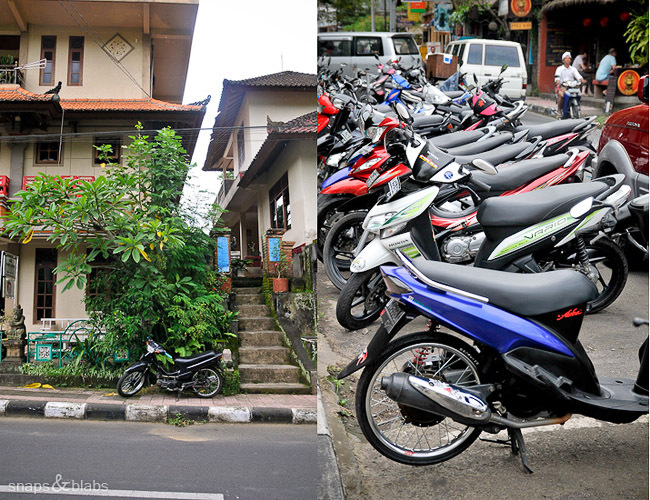 I was not a fan of Ubud, either (except for some of the food.) The touts were some of the most annoying I’ve ever encountered! 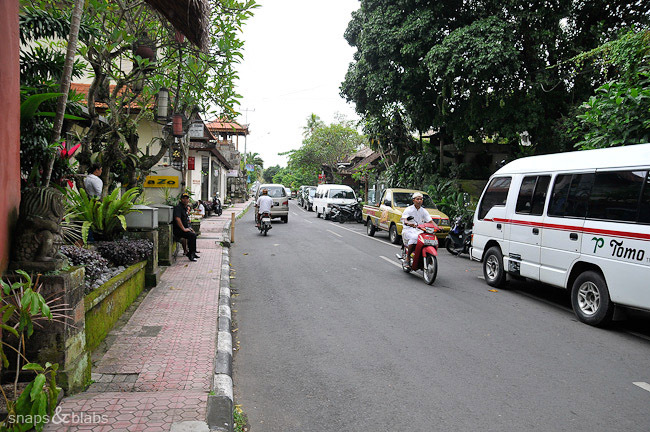 Same was true in Sanur, by the way, but there were ways to avoid some of it there, at least. 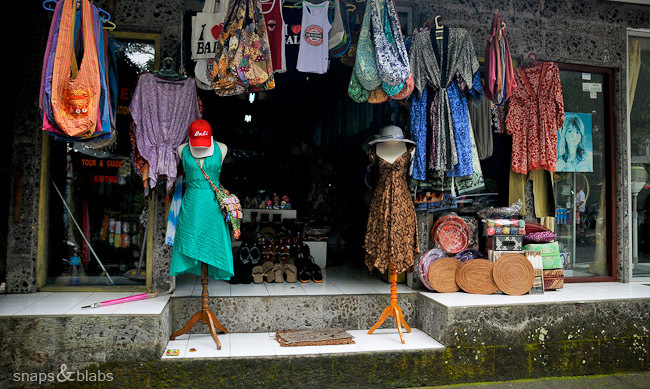 I left Ubud and went to Amed in East Bali, a much quieter place that wasn’t overrun with tourists and touts. Met some nice locals there and really enjoyed it. With fishing villages, black sand beaches and Mt. Agung in the distance, it’s gorgeous. I recommend visiting, but sooner versus later, if possible. It’s just a matter of time before that gets busy. Yes, Amed was wonderful and we ended up spending 2 weeks there. 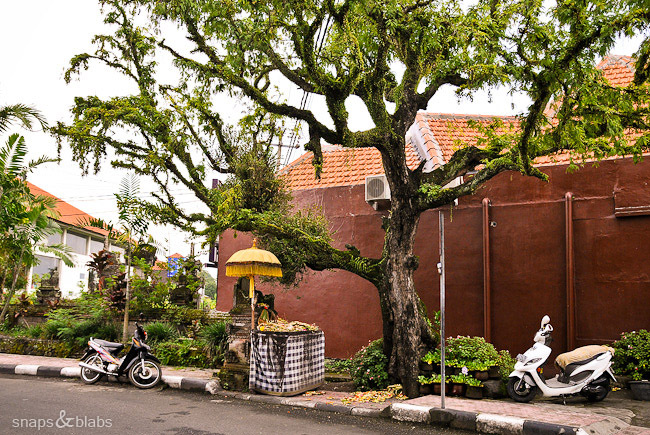 Luckily, we did not even pass through Sanur and the like.